Boker Magnum Shadow Warrior Assisted Opening Folding Pocket Knife G-10 | BUDK.com - Knives & Swords At The Lowest Prices! 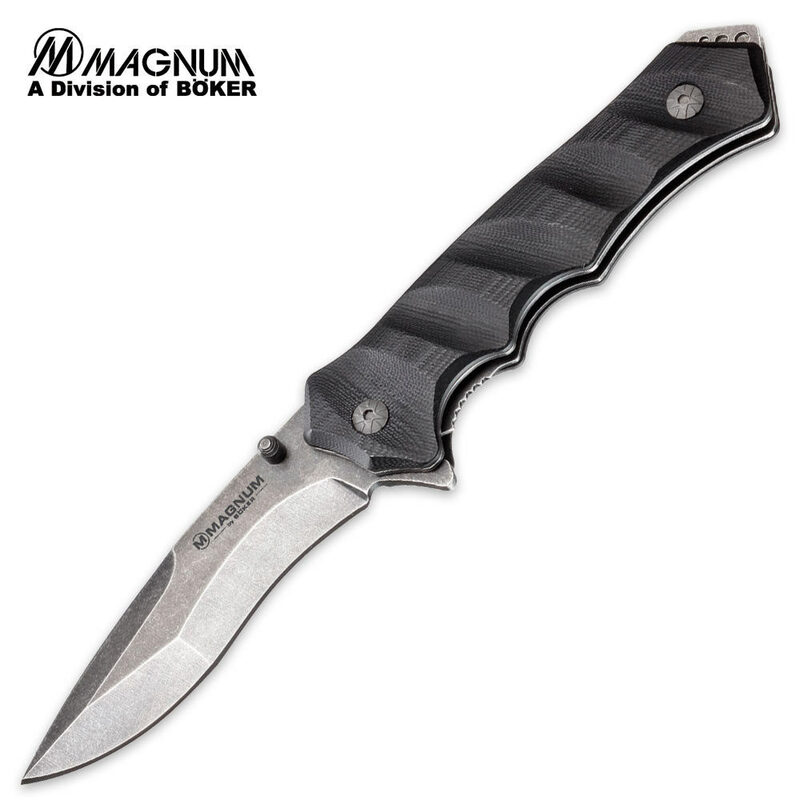 You can't beat all the value that's packed into the Shadow Warrior by Boker Magnum. This innovative design offers a fast assisted-opening mechanism with a blade spur and thumb stud, a razor-sharp stainless steel blade and a rugged, contoured G-10 handle for a superb grip. The drop point stainless steel blade features a flat grind and stonewash finish, and a pocket clip completes this exceptional design. Measures: 3.75" blade; 4.875 closed.